The Best of Teacher Entrepreneurs III: SCIENCE LESSON: "Teaching the Scientific Method!" SCIENCE LESSON: "Teaching the Scientific Method!" Are you teaching the scientific method? The scientific method is a very important foundation for teaching science at any grade! Students typically use the scientific method and process skills daily without realizing it! Most teachers feel uncomfortable teaching anything science related, but you don't have to! Head over to my blog and read about how you can teach the scientific method in your classroom with ease! 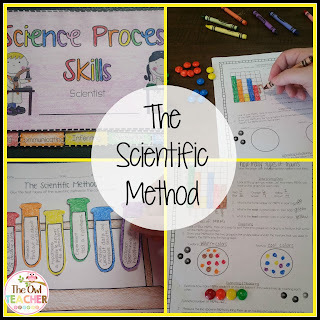 Click here to read and gather some ideas to teaching the scientific method.